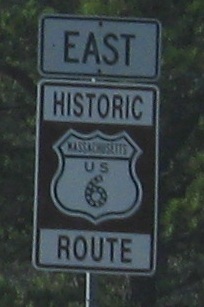 US 3 "turns into" MA 3. 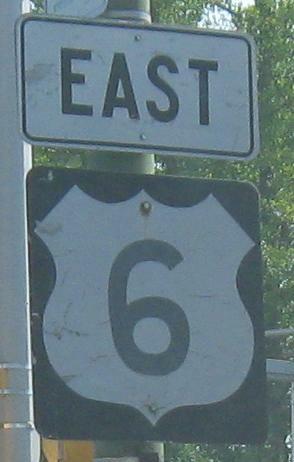 US 6 never turns into MA 6. 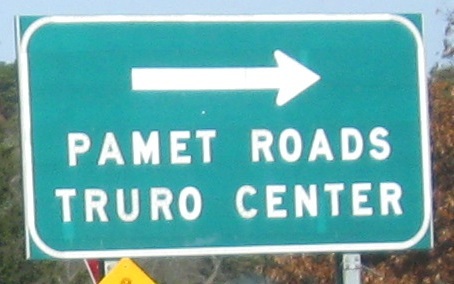 First photo courtesy Michael Summa and taken in 1982, while the second sign was taken recently. 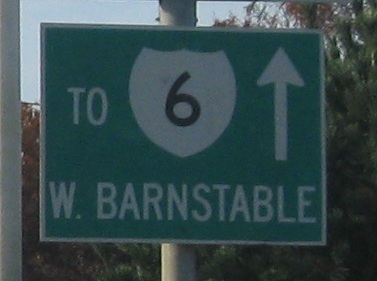 It's just (or nearly) as old as Michael's sign but in a different style, on Rockdale Ave. SB in New Bedford between the two sides of 6. Distances on Mass. 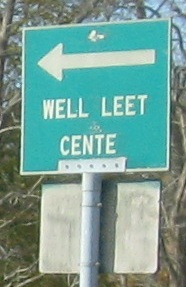 LGS's only appear on older signs such as this WB one. 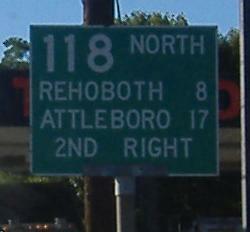 Skipping the MA 138 duplex (see big link below), the MA 79/138 SB frontage road is also US 6 EB here. The left exit is a U-turn underneath the freeway, and then US 6 turns left onto President St. in 1/4 mile. "Davol St." is very misleading - that's the name of the frontage roads, and they certainly don't exit themselves. 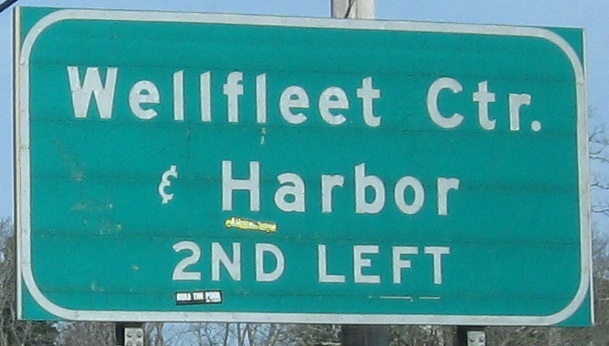 WB through Fall River. The third sign is cheating - it's a BGS-style ad posted far above a railroad trestle, but it's an old BGS, and the font looks correct. 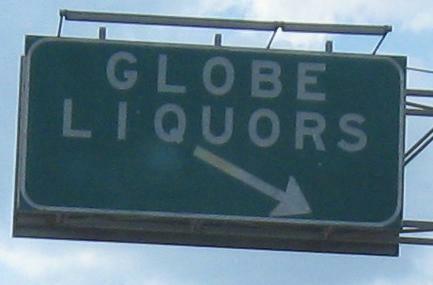 The first sign could use some help. 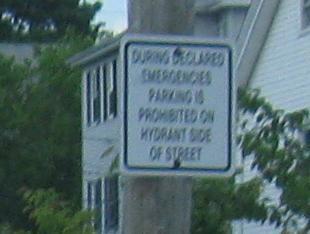 How about "NO PARKING THIS SIDE DURING DECLARED EMERGENCIES"? Why leave it to the public to determine where the hydrants are? Old button copy, but maybe with replaced shields, MA 240 SB. 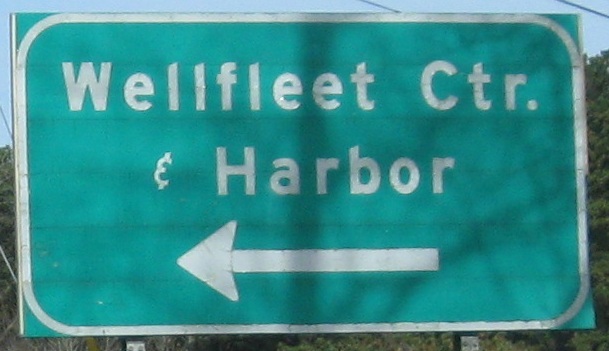 MA 240 is a strange homunculus of a route, with a ghost cloverleaf at I-195 suggesting that it may have been intended as an eastern New Bedford bypass from MA 140. That's just a conjecture, but it explains the number and the ramp configuration. 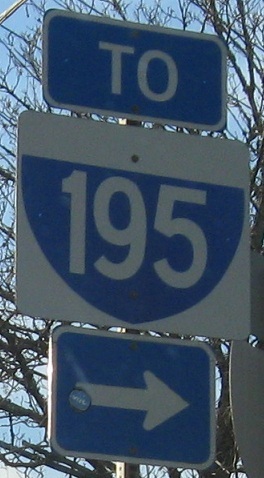 WB at Front St., Marion, leading to MA 105 NB. 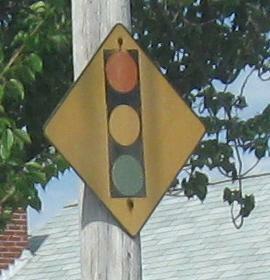 Although this is a style of shield I came to associate with RIDOT, southeastern Mass. has plenty of examples. Must just be a regional preference to combine the old font, lack of cutout, and colors that don't keep. 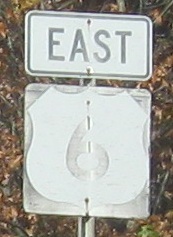 MA 28 SB/US 6 EB (left signs) and Depot Rd. 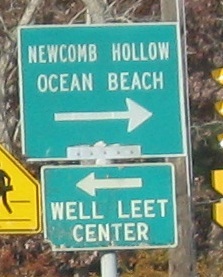 NB (right signs). See the 28 page, linked at bottom, for more. 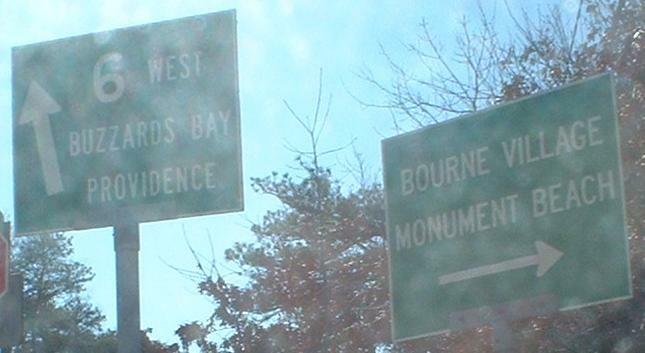 The Bourne Bridge (MA 28) in all its majesty. 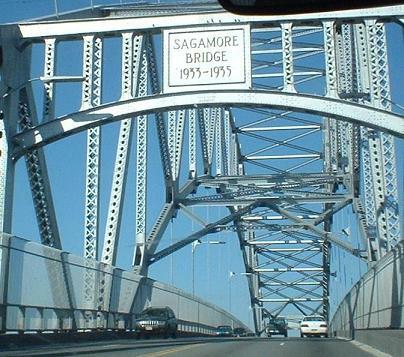 This is the Sagamore Bridge (US 6) EB, constructed at the same time as the Bourne Bridge, when the Army Corps of Engineers took over the Cape Cod Canal and set forth to widen and straighten it. The Canal was initially built in 1914, and the original Bourne and Sagamore Bridges date from 1911 and 1912, respectively (they had to be constructed before the trench was dug). 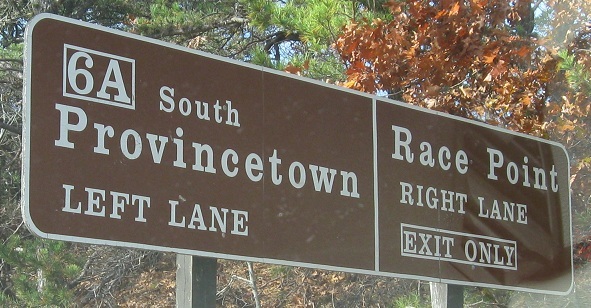 Before then, Cape Cod was part of the mainland, roughly defined by the Manomet River flowing through Bourne and Scusset River through Sagamore; a trace of these original rivers is left in the naming of Old Bridge Road in Sagamore. In 1935, once the new bridges opened, the old drawbridges ¼-mile away were demolished. Looking west along the canal from the Sagamore toward the Bourne. The old Sagamore Bridge is pretty much entirely gone - you can see the road on the north side, but there's nothing structural left nor even one ounce of abandoned pavement. 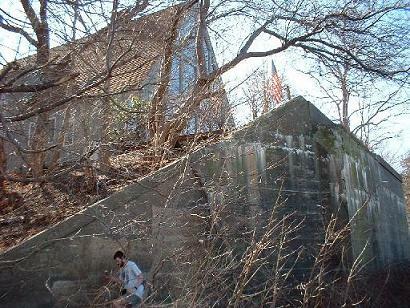 On the south side, there's nothing immediately apparent, but that's just because someone built a house atop the old abutment! Hi, SPUI! The railroad tracks remain on this side of the canal. 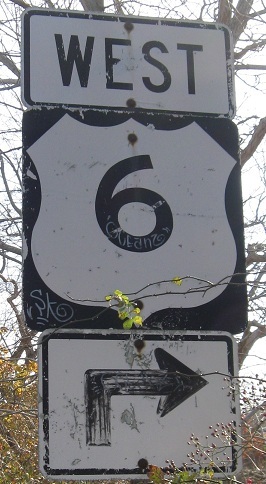 Now, US 6 runs along the northern side of the canal, but US 6 WB used to run on this side instead, hence the second sign. 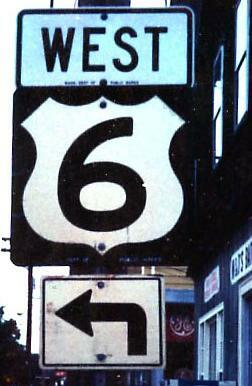 No, I have no clue why 6 EB and 6 WB were on opposite sides of the river on two-way roads. 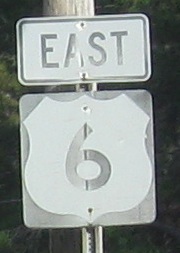 Because of this split, though, the directions that weren't US 6 were BY-PASS US 6, as the first picture (EB on the southern road) shows. 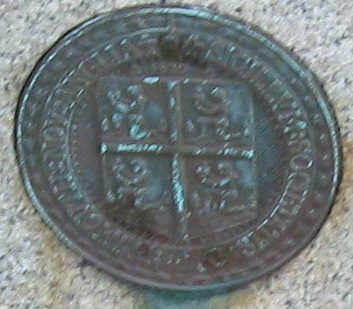 Still EB on the southern road, this is a nice old 3 shield that dates from the BY-PASS days. At least it's still accurate. Classic old freeway architecture above MA 130 SB. 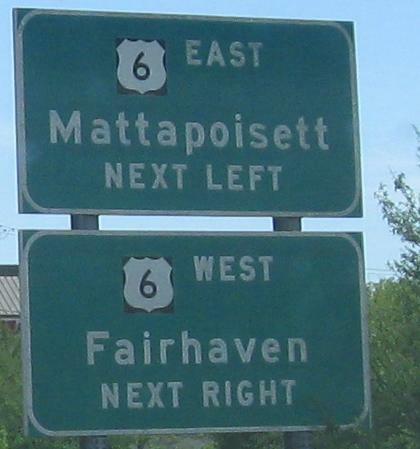 I guess since US 6 is a freeway through much of Cape Cod, it gets to have an Interstate outline? This failure is on MA 132 WB at Bearse's Way. 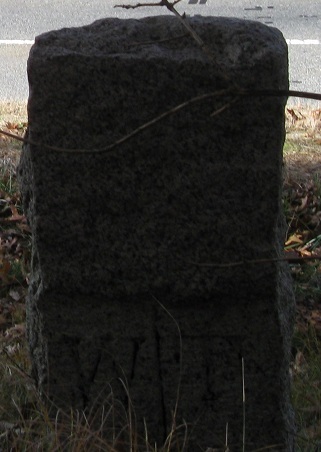 An old alignment hops off the WB side of the road. Okay, so who's stealing capital letter 'F's? All EB. 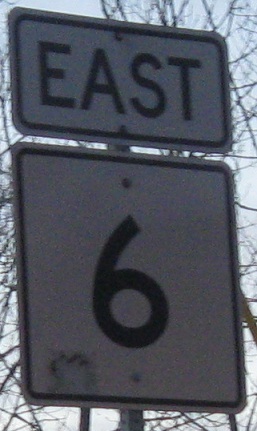 WB at Briar Lane, old US 6 through Wellfleet, then following old 6 past the First Congregational Church on Main St. to a deformed shield facing a cross-street. 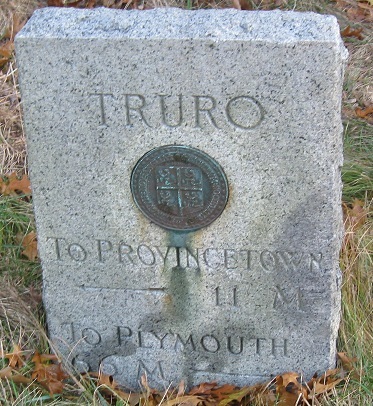 This old Wellfleet/Truro border stone from the days of turnpikes and horse-drawn carriages sits just off US 6 EB. Somewhat newer, but that's a relative term. 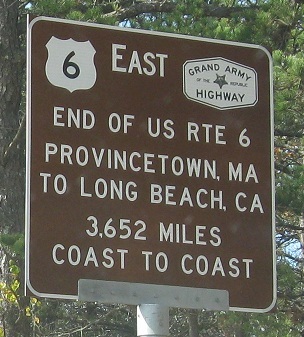 Continuing EB past what may be the only button copy on the Cape. 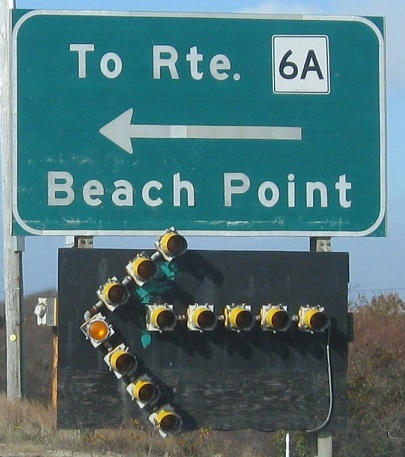 I don't know under what circumstances the makeshift arrow lights up, but something like fog or unusually high tides must cause a decision to be made to close US 6. A 1982 Michael Summa photo on Stott's Crossing in N. Truro. 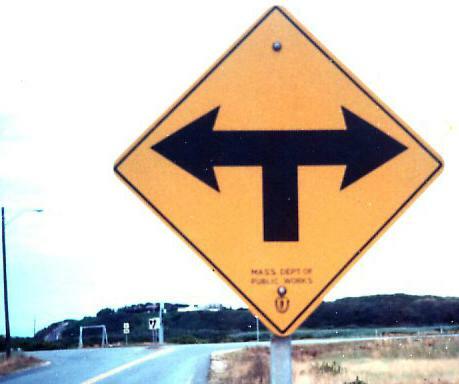 Thanks to Emi Melissa Briet for ID'ing the intersection. 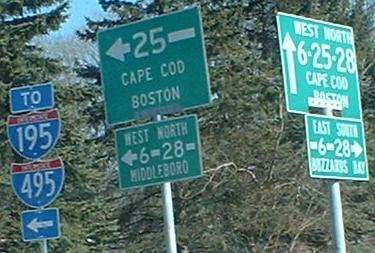 Cape Cod reminds me very much of Long Island, except Long Island has never had a US Highway on it. 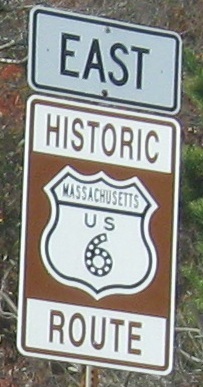 I think to be accurate, the Historic 6 signs should be on MA 6A, and the regular US 6 signs should stay on the modern road. 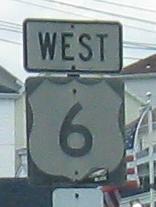 Also, US 6 hasn't gone to Long Beach in many a year, so a new sign should be getting it right. 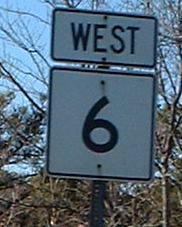 US 6 EB curls around to face west by the time it ends at the tip of Cape Cod, and a left turn begins MA 6A... SB? 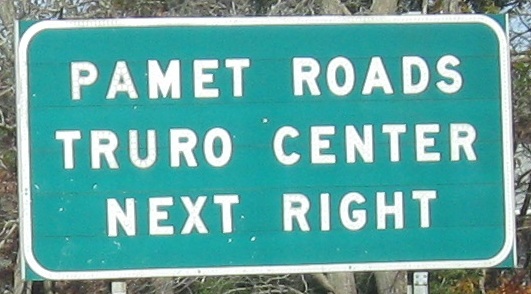 It should be WB, but the northernmost section has been converted to north-south to avoid directional confusion between the route and geography. 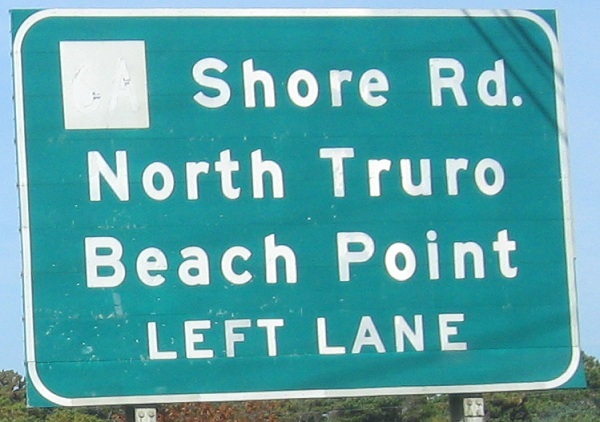 This is clearly not state signage - it's part of the Cape Cod National Seashore.